The Osborne RN1 Big Wheel Feeder provides fresh feed on demand for growing pigs in nursery operations. 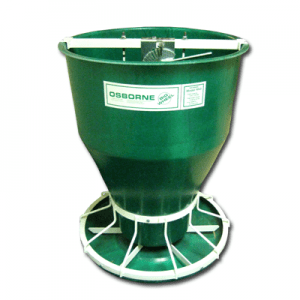 Our feeders are engineered to improve feed-to-gain ratios while radically reducing waste. 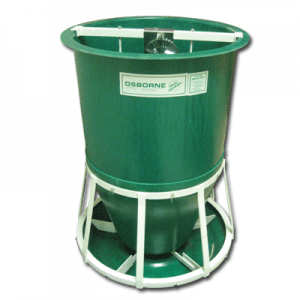 The round trough provides pigs with a less stressful eating experience and 360 access to feed. 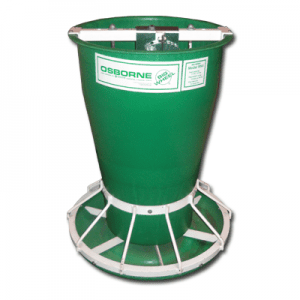 Big Wheel Feeders are manufactured with Osborne engineered, reinforced RTM-Glas fiberglass hoppers and troughs and are available in with metal parts in standard painted steel, galvanized and zinc-plated, or 304 stainless steel.